How do you handle aggressive people in a meeting? Should participants be able to alter an agenda? Should you start with or without attendees that are consistently late? 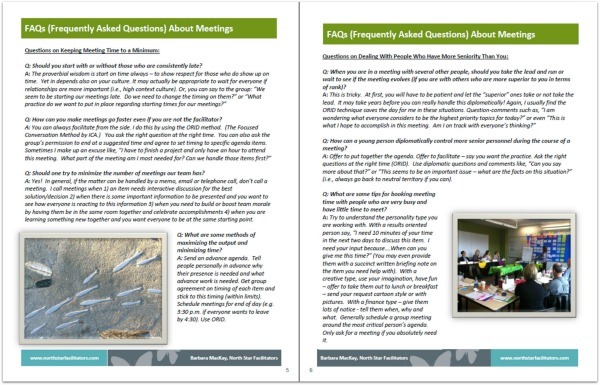 These frequently asked questions and MORE are answered in this handout. 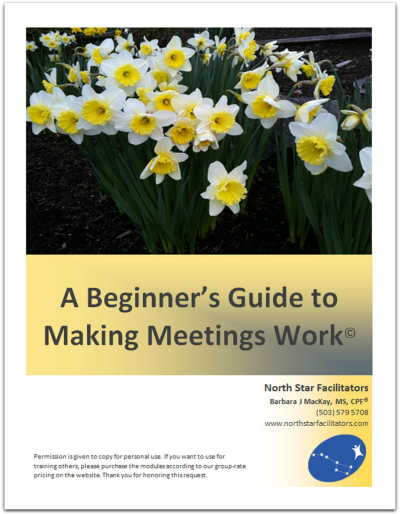 It also includes 10 important facilitator tips to enhance meeting outcomes and make every meeting stellar!